What's the easiest switch you can make for the environment? Eat less meat! Every week we are exploring vegetarian meals for meat eaters. Cooking with seasonal vegetables can seem really limiting at first, but the possibilities are endless. And it is worth it. Just cutting one day of meat eating out of our diet can keep thousands of pounds of CO2 out of the atmosphere a year. No seriously, it's that big a deal. Plus, it's a great opportunity to have some new adventures and try new things. Just another way to take care of the planet AND make life a little bit better! 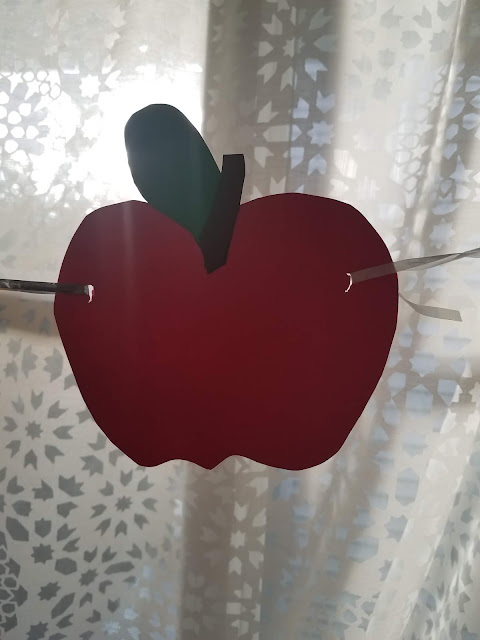 The first week of October, we always celebrate apples. We left our hometown 10ish years ago, and they have a big apple festival Applefest every year. We miss it, but we will never go back for it, because our family is way too busy that weekend; we would never see anyone! So now we eat apple food all week long to celebrate our own Applefest. Even if they aren't loaded with sentimental nostalgia, you really can't do better than apples this time of year. That said, savory and vegetarian recipes with apples may seem like a stretch. Let me tell you- it's not true! You are going to find a new favorite for your home, and it will be so good that no one will miss the meat. I don't think we could get through this list without a salad, and I am really excited about this kale, carrots, and apple from A Saucy Kitchen (what a great name). It sounds really crunchy and delicious- plus I learned all about masasging kale from reading the recipe. 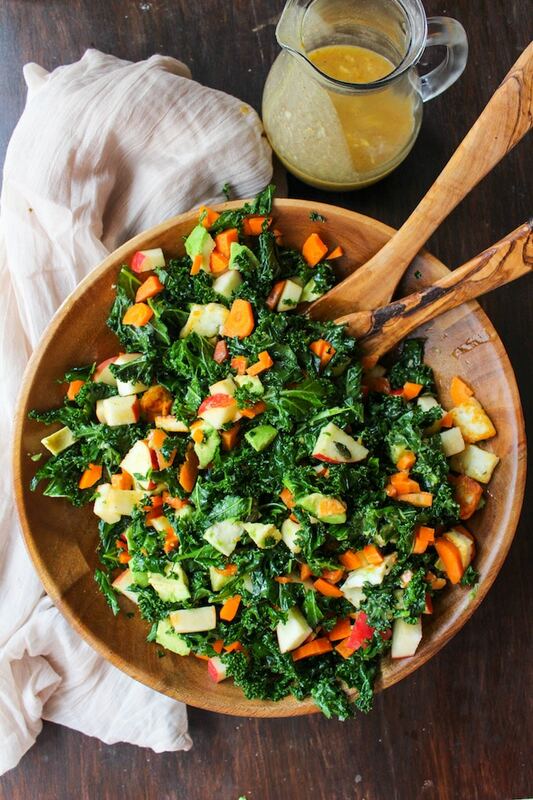 Ok, for one more salad, check this apple and brussel sprout salad from The Healthy Table. Apples and Brussel Sprouts go weirdly perfectly together. 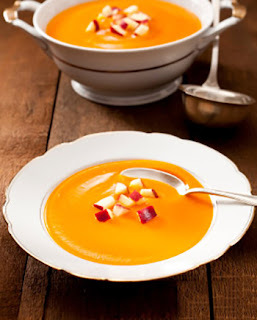 I love a butternut squash soup- perfect for these fall months! This one from Mighty Mrs. also uses apple, and it does make perfect sense! Both are great with spices, and this soup also gets a kick of sweet acid from the apple. For Apple Week, we always have one night of cheddar, bacon, and apple grilled cheese. It is ridiculously good! I don't think you even need the bacon, and Domestic Superhero agrees. 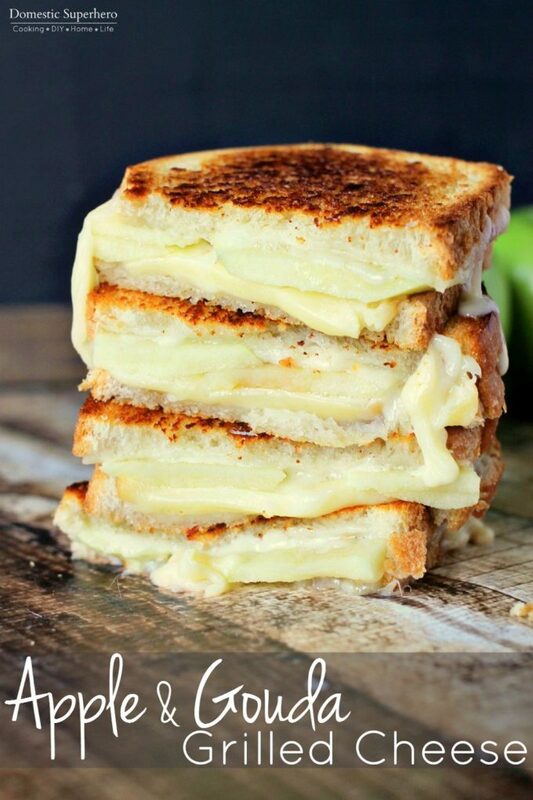 You can step up your grilled cheese with some spices and apples- so easy! Looking for something brunchy? Check out this Apple Thyme Tart from Le Petite Eats. 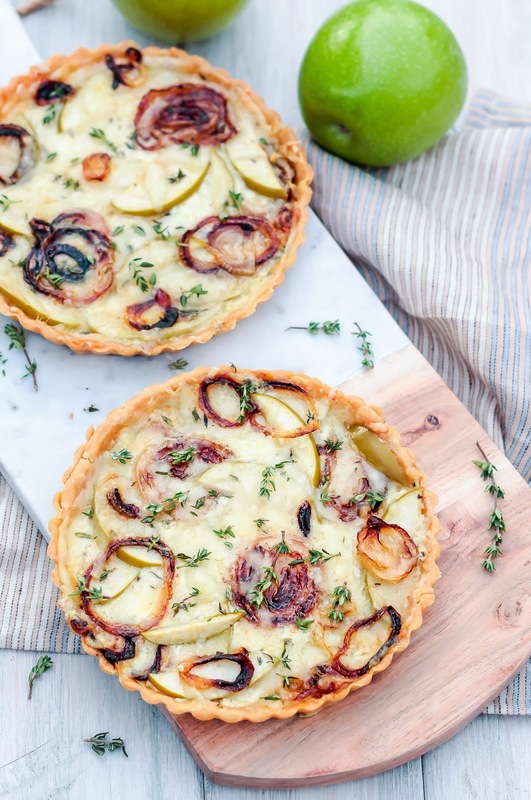 They looks so pretty, and with all that apple and thyme, you know they will smell delicious! 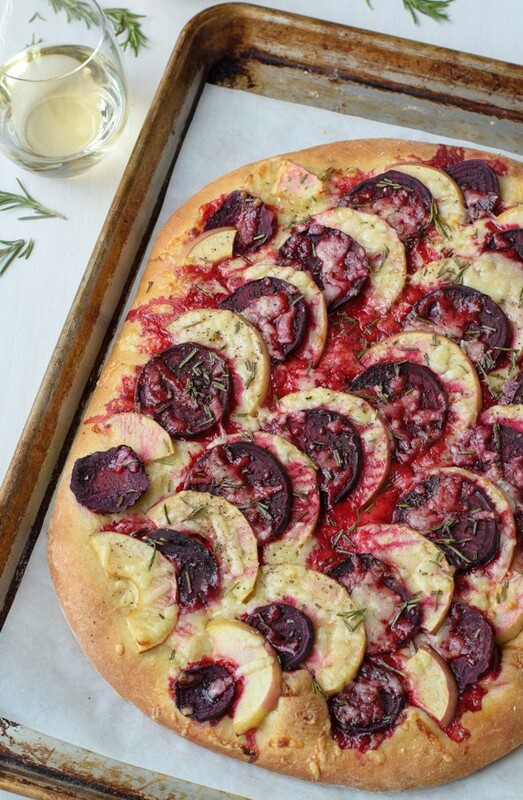 If you are wondering what we will try this week, look no further than this beet and apple pizza from Well-Plated. I LOVE her recipes, and this one basically combines all of my favorite things on one pizza- beets, carbs, and cheese! Throw in a little apple too, and I am in love. 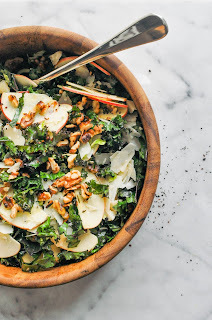 If you love crispy or rarely-used vegetables, this kohlrabi salad from Cookie + Kate looks super simple and delicious. They have it as a side salad, but you culd bulk it up with some gouda cheese or tofu (not my deal, but maybe it's yours). Lastly, apple and mustard are another delicious classic combination, and the Colorful Kitchen has used them for a pretty ridiculous "melt." 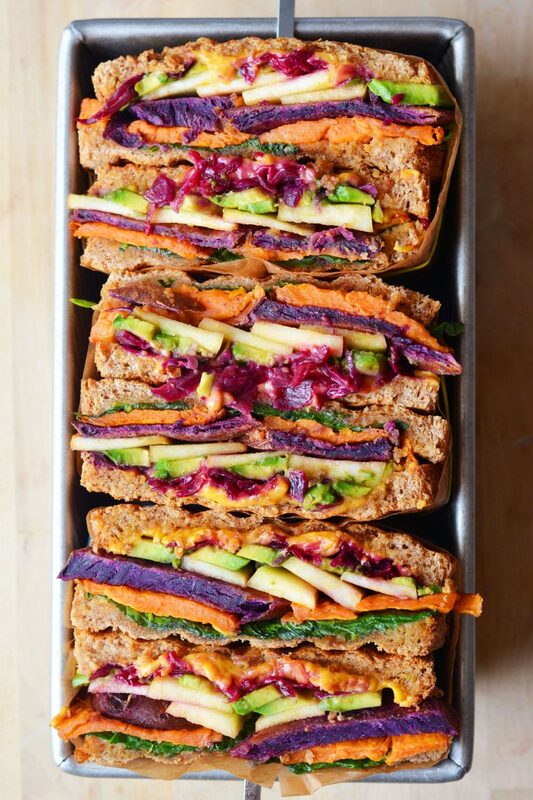 I mean, she is nailing the vegan sandwich, but you could even take it down a notch and use your favorite cheddar. What meatless meals are you trying this week? You are doing something amazing by cutting some meat out of your diet, and you can learn some cool new things too! Want more vegetarian recipes to try? Awesome! Adding more meatless meals to your diet is such a fun challenge and you can discover so many things you like. 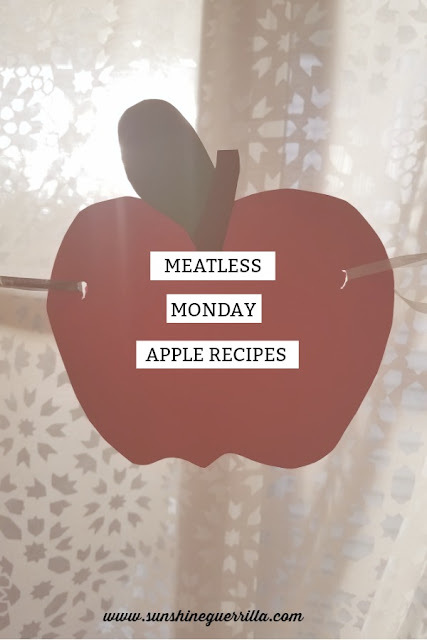 Check out this page for all of the Meatless Monday Recipe Round Ups!